As a real estate agent I can’t express how important obtaining a home inspection is in both buying and selling a home. And yes that is not a typo I did say in both buying and selling a home. believe it or not I have had clients decline the option to request a home inspection on their contract to purchase a home. Buying a home is a major purchase and I suggest that you know what you are getting into before you own it. At the least the home inspection can at least shed some light onto what you will need to address once the home is yours. As a seller it will be an eye opener. Find a list of top rated home inspectors. For the most obvious reason when you are purchasing a new home home it is smart to obtain a home inspection to protect yourself from major structural, electrical, or water damage. The other cosmetic stuff is nice to know also. When you are buying a home in Henderson and you have negotiated the contract you will have a due diligence period in which to have all inspections completed. On the contract there are many different types of inspections that you can request such as mechanical inspection, structural inspection, pool/spa inspection, and termite inspection just to name a few. You as the buyer can request as many inspections as you want however it is typically the buyers responsibility to pay for them. The best way to determine what type of inspections that you might request are based on disclosures from the seller, information about the home on the Multiple Listing Service, information from the neighbors, any damage seen on visual inspection or just anything that concerns you prior to moving into a new home. When it is time to perform inspections you will have the choice of inspectors to choose from. We have a list of companies that past clients have used to provide to you however you can always use your own company. One thing that I do highly suggest is to always call and interview any inspection company you choose with questions and concerns. Find a list of questions to ask a home inspector. What is on a home inspection report? The inspection report is a very thorough report on all the mechanical functions and a visual check of all aspects of the home. These items include but are not limited to; water, electrical, leaks, corrosion, air conditioner, heater, water heater, thermostats, dishwasher, garbage disposal, fire safety, pool and spa, pool equipment, lighting, stove, oven, drywall, and much more. The inspector is a critical backup to our visit to the home to make sure that we didn’t miss anything when you fell in love and decided to write an offer. Depending upon the home inspection company that you choose to perform the inspection, typically you will receive a 50 page report with photos and a summary page with the items the inspector deems the most concerning. With the summary page in hand you will be able to request repairs from the seller or have the documentation to have an item of concern further inspected. From start to finish the home inspection process can take 1 to 3 hours to complete. This does not always include the final report that you will receive at the end. It could take 24 – 48 hours to receive the final report from the inspector. The only time this could be a concern is if we are close to the end of our due diligence period, however we as your agent will monitor that time frame you. If you choose to perform any other inspections you will also receive a written report with the findings. Size of home, type of home, age of home and whether there is a pool or spa play a factor into the cost of the home inspection. Every home inspection company has a different matrix on the cost of an inspection however lets say you are purchasing a home with the following statistics: 3 bedrooms, 2 bathrooms, 2000 square feet, pool and spa the typical cost will be between $350 – $450 for an inspection. You can find companies that cost less however I would caution to ask the questions prior to hiring a home inspection company based on price. 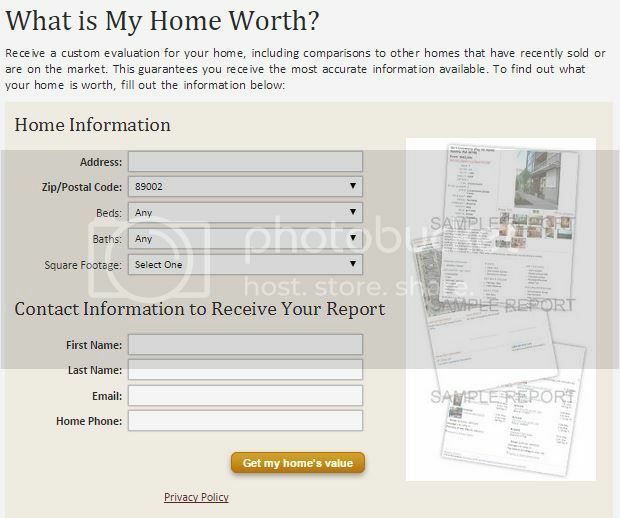 Each inspection you choose will be a separate charge and can add up to be pretty expensive. I always suggest to my clients to start with a mechanical inspection and go over any other areas of concern with the inspector and ask if you should inspect it further. This way you have an expert recommending how to address your concerns. List of local home inspectors that our past clients have used. It is a good idea to attend the inspection if at all possible however it is not necessary. The inspector will be all over the home in the inspection and following them around might distract them from getting to all aspects of the home in the allotted time. I suggest that if you are going to attend the inspection that you show up the last hour to half-hour to have the inspector show you anything that they have found that they think need to be addressed. At this time you will also be able to ask any questions about other areas that concern you. Remember the inspector is working for you. The inspector will walk you through the home and make sure all your questions are answered. If you are unable to attend the inspection, which happens a lot, you will be able to reach out the inspector by phone or email with any questions. Why do I need a home inspection when selling a Home? I mentioned that getting a home inspection prior to selling your home is also a good idea. The home inspector can go through the home and be a disinterested third party to help point out repairs that a buyer might see. This can benefit you the seller because you will be able to address any areas of concern prior to the home going on the market. This can translate into a higher offer and more money in your pocket if the buyer doesn’t see any need for discounts due to repairs they will have to address. We would love to earn your trust and represent you when you buy or sell in Henderson Nevada area. Contact us today to set up an appointment ernie@gonzalesteam.com or 702-291-8126. This entry was posted in Buying A Home, Selling Your Home by gonzalesteamvets. Bookmark the permalink.